Apologies for the title, couldn’t resist the opportunity. 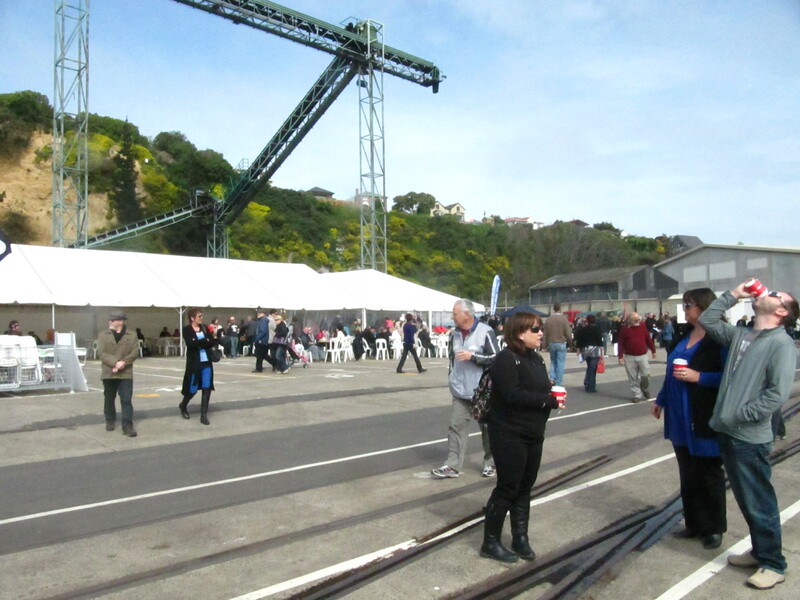 I was lucky enough to grab a last minute ticket to the Port Chalmers Seafood Festival. If truth be told I only really discovered I actually enjoy seafood a when I moved to New Zealand in 2010, living in a landlocked area of Middle England results in not the best options in terms of fresh and quality seafood. So thanks to my newfound appreciation for food found in vast bodies of water the opportunity to try fresh, well prepared and delicious varieties of seafood was not one to be missed! 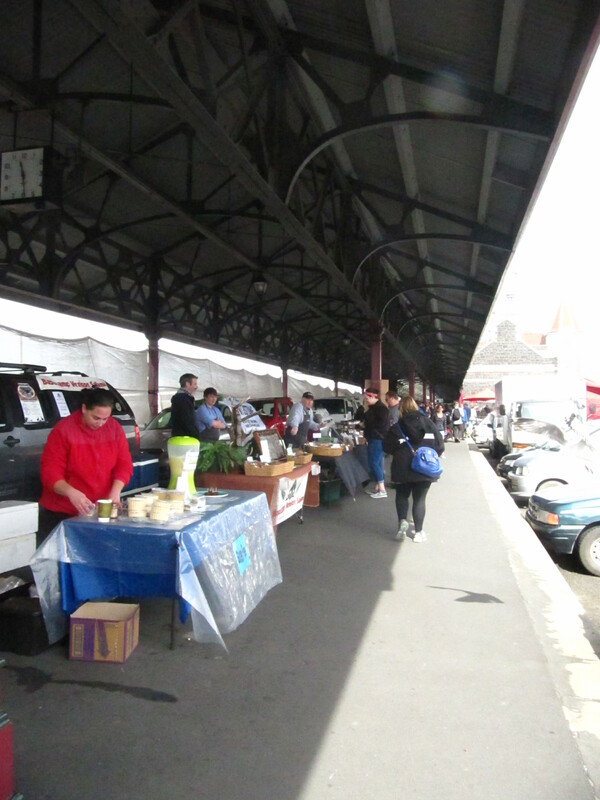 Before I popped along to the festival I paid a quick visit to my favourite weekly market, the Otago farmers Market. Resplendent with fresh, tasty food option all made by local producers, and local preserves, drinks, foodstuffs, and even plants. 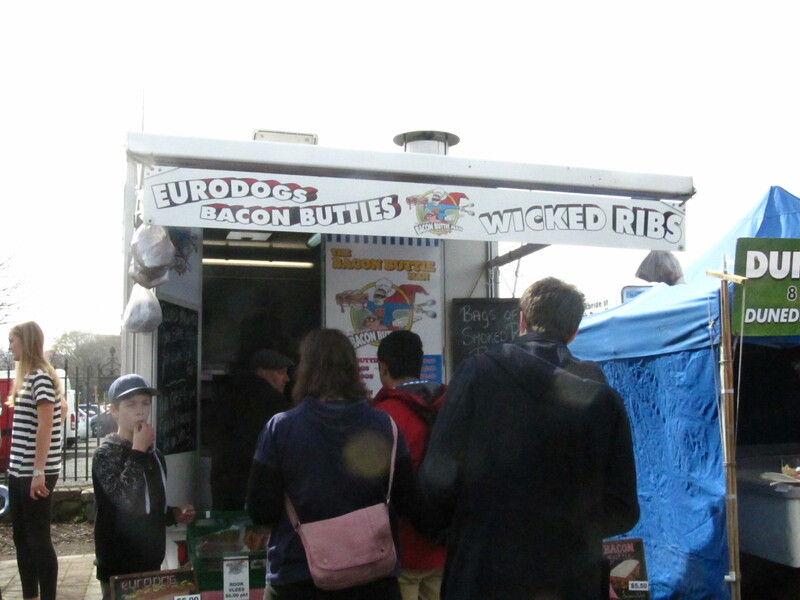 I had already had breakfast however, so did not indulge in my usual bacon buttie from Bacon Buttie Man. A ticket for the festival included a free bus ride to Port Chalmers and back, which was very much appreciated and utilised by myself. 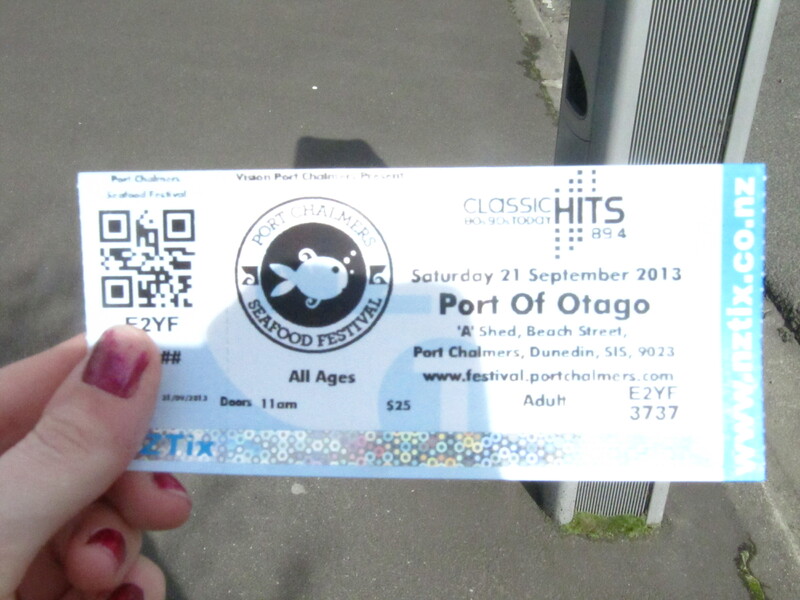 Luckily I took a quick picture of my ticket because it got taken away when I arrived at the festival! Upon arrival my ticket was exchanged for a green bracelet to let the bars know it was ok to serve me alcoholic beverages. 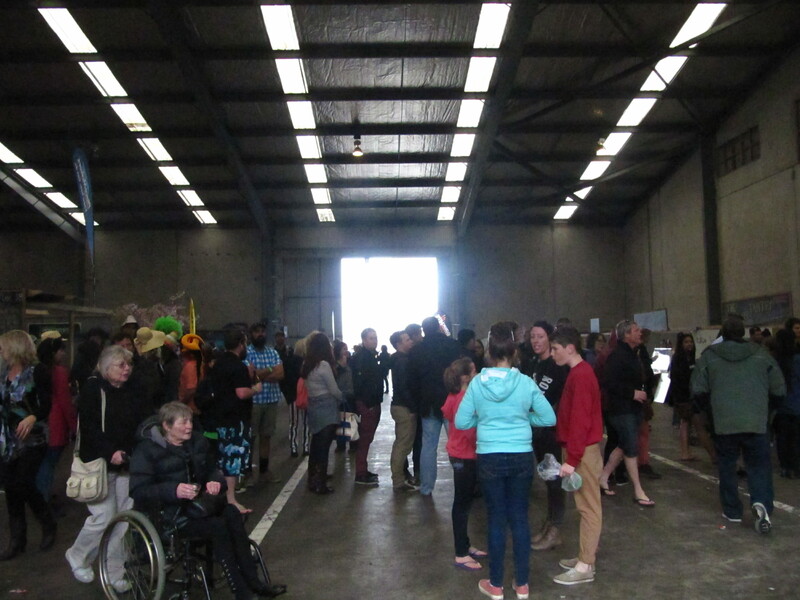 The Port Otago A-Shed held the majority of stalls, offering a large variety of tasty seafood. While outside was the Classic Hits stage, cooking demonstration tent, and children’s tent, a few more food stalls and some fishing information stalls all looked out onto the water. The Classic Hits stage was behind the white tent on the left. I bumped into some of my tutors which was really nice as I had gone on my own. One of them had brought their family along with them, and in the spirit of curiosity I embarked into the children’s tent with them. 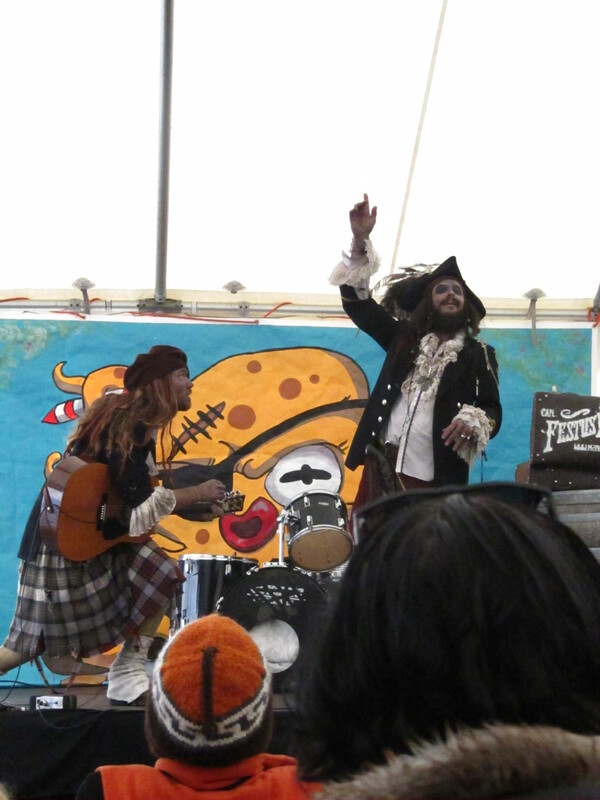 The pirates, Festus McBoyle and his friend, were in fact remarkably entertaining considering I was at least 15 years above the intended age group. After this some of my friends from uni turned up and I went and ate with them. I ate a really wonderful Garlic Prawn Bap thanks to the Otago Polytechnic Culinary Arts students, followed by a very tasty Salmon Pattie from Gilbert’s Fine Foods, I washed those down with two glasses of the Gibbston Valley Gold River Pinot Gris before finishing off my day with Calamari Rings from Fish Hook. Their selection was impressive, and the whiskey butter simply delicious, if I hadn’t spent my last $5 on some special salt I would have bought a pot of it, it really was wonderful! I had a really wonderful time and am looking forward to next year, and possibly being able to take some of my friend who I know love seafood. 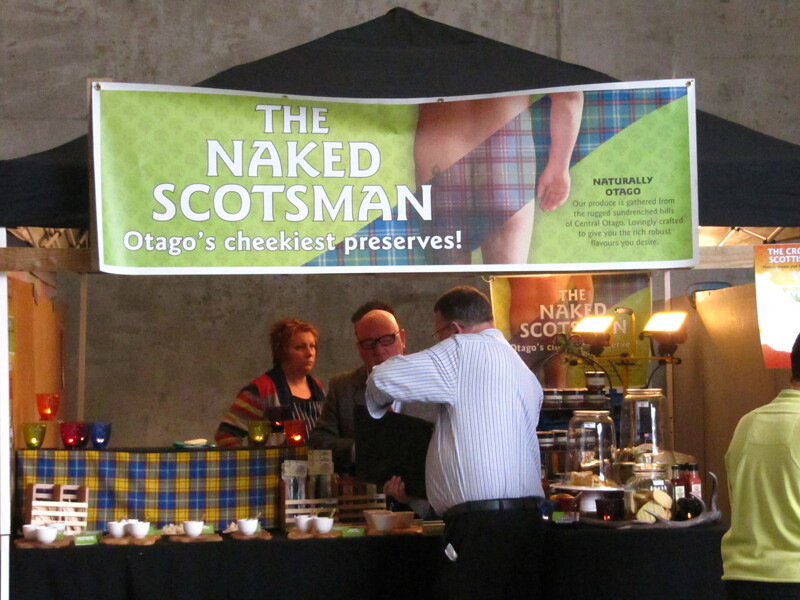 This entry was posted in Creativity, Dunedin, Food & Drink, Music and tagged Dunedin, Port Chalmers, Port Chalmers Seafood Festival 2013, Seafood. Bookmark the permalink. I heard the seafood chowder was excellent. I was attending a school fait in the morning and the weather was terrific. I understand it was pretty good in Port Chalmers as well. It’s great to hear that rides were provided from in town. It sounds like this was a very successful event! I didn’t try it but one of my friends did, it smelled good and was apparently very tasty.It was, I think they got around 6000 people attending in the end. And the bus ride included in the ticket was really good, they were really were every 15 minutes. Took the one drink limit issue away too.